There can be no denying the fact that Zimbabwe is a Christian nation- I mean no offence to the other religions out there, religious freedom is very much alive in this country. The majority of us like to put on our best clothes every Sunday or (clears throat) Saturday, go meet our church friends and gossip about how the pastor/priest is misusing church funds on our way back home. That is an established past time believe me ;D.
Pastoral Care was created to solve exactly these kinds of problems. It is a cloud-based system meant to make churches take advantage of technology as they minister to their local communities. The finance module introduces transparency in the way church finances are held, the church leaders can keep in touch of such mundane things as their flock’s birthdays thus introducing a personal touch and it makes social media more effective. Change is always hard and entrusting your church’s affairs to a little-known cloud software is bound to make a lot of church leaders out there nervy. 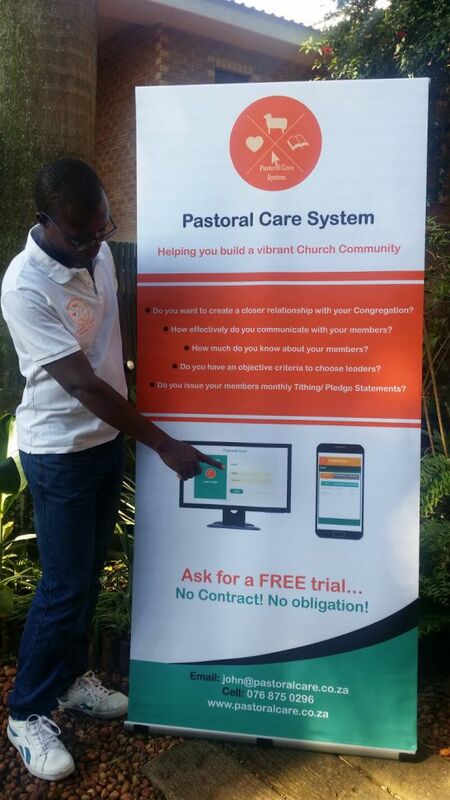 The good news is that the guys behind Pastoral Care are giving out free trials upon request. Just drop an email to john@pastoralcare.co.za . We don’t run a church here at Techzim otherwise we would have taken this for a spin as well. I don’t think it is a coincidence that the featured churches as using Pastoral Care are in South Africa. Besides the fact that the developers are based in that country, there is the little issue of the subscription model. Add to that the fact that the subscription costs are based on the number of members your church has and you have the minor problem of cost. To be fair Pastoral Care is not very expensive. Starting at R233.33 for a church with under 100 members that seems like a reasonable price to pay. However, a lot of small churches are bound to have other overheads to consider and paying for fancy software to keep track of things might not be that high on the priority list. Especially seeing it is a monthly cost. I see a lot of pastors buying a counter book and doing it the traditional way. Then there is the issue of the internet. Lots of churches do not have internet and that is unlikely to change anytime soon. Just check the download numbers on a lot of hymn books to see how many people use tech in churches and a picture of Luddites in frocks starts to appear. Still, if you can afford it and have internet in your church Pastoral Care is something you should definitely consider. There is local version called Disciple Soft, probably on the best in the market!